Well, here we are! Over two years ago we sat in shock after hearing David’s announcement telling us that he would be gone from the music world, from our world, for two years. Even when we eventually reached the acceptance stage and understood his reasons for going, we still felt an uneasiness. “What would we do? What would happen without him for that long?” That was the reality that was sinking in for so many of us. Each of us had our own reason for feeling the way we did. For some, David’s uplifting music was a balm for their souls that would be sorely missed. For others, he was a source of joy in a sometimes otherwise difficult life. Others would miss the friendships, the camaraderie, this fandom he created. Others would miss the live concert experiences. And for some, his vlogs made them happy in a way they still can’t explain. For each of those reasons and many more, we felt there would be a void that couldn’t be filled without him here. As great as videos are, and as grateful as we are that we had all those videos, they is just no substitute for the real thing. Yet, here we are. Somehow we managed to make it to 2014. Perhaps David understood how we felt. His working so hard before he left to leave us with a mini-series to watch, and new music to explore and savor, helped tremendously. The vlogs and photos shared by his team while he was gone helped too. And even though he was so many miles away, we were given the privilege of seeing him sing at Christmas both years, through the generosity of his church in making those events open to the public and posting videos online for all to enjoy. It’s been a long two years and perhaps the hardest part is yet to come. These last days seem to be eerily quiet. We’ve spent the past two years looking back at all the amazing performance videos, those wonderful gifts from fans, remembering what a phenomenal talent he has always been. But it’s now so close that we’ve stopped looking back because the future is just over the horizon, almost within our grasp. The videos we saw at Christmas show a David who is still the same and yet so very different at the same time. While we are no longer looking back, we have no idea what that future will bring. The excitement we feel about his return has us sitting on the fence between the past and the future, a future we know in our hearts will be bright and wonderful for David. How could it not be? While we wait out the last days before his return, I’d like to take the opportunity to thank the admins here at The Voice, and all of David’s fan sites, for their hard work in keeping us together for all these months and for making it so much fun! Thank you for sharing the smiles, the laughter, and the tears these past two years. And to all the fans who are still here, kudos for hanging in there! It will be worth the wait! It won’t be long now. We’re in the home stretch and it’s time to look ahead! Who’s ready for David? Vlogs and videos and concerts, OH MY! What will YOU be doing to get ready for David’s homecoming? Here are a few of the things I’ve jotted down on my own “to do” list. 1. Check the piggy bank. 2. Tune up my engine. Include the car engine as well. Road trip!!! 3. Shop for tour clothes. 4. 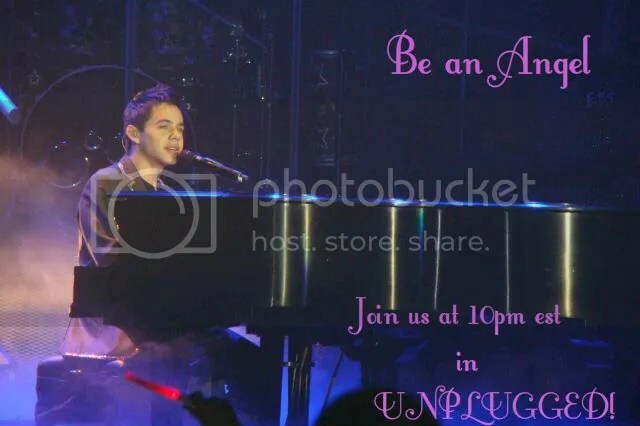 Pull out all my David Archuleta shirts, jackets, pins, bracelets, etc. Put them all on and dance like nobody is watching. Make sure. 5. Sign up for ILAA which is now VIP Nation cuz you know I want that VIP ticket. 6. Review all the lyrics of David’s songs by playing all of his CDs and singing with him at the top of my lungs like nobody is listening. Make sure. 7. Buy a new computer/IPad to watch David videos. 8. Buy a new camera to TAKE David videos. 10. Practice my salsa dancing! 11. Practice jumping in the event of zero gravity. 12. Practice breathing in the event of no air in my lungs from screaming and jumping and dancing and scooting. 13. Scrap #12 and invest in a portable O2 tank. See if you can bundle a portable lifepak with it at a discount. 14. Get back on that diet!! So. What’s on your list? 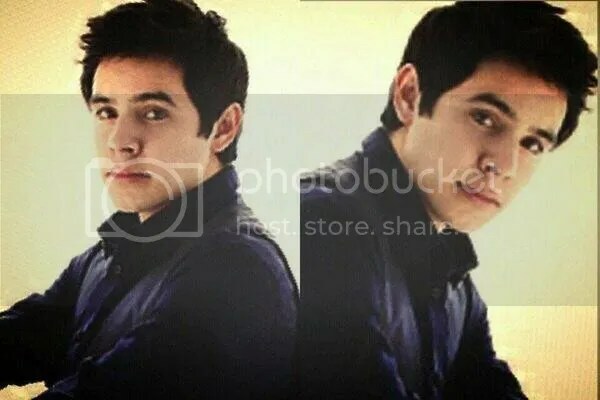 This entry was posted on Sunday, March 2, 2014 at 3:49 AM	and is filed under @DavidArchie, @kariontour, Archies, David Archuleta, tours. 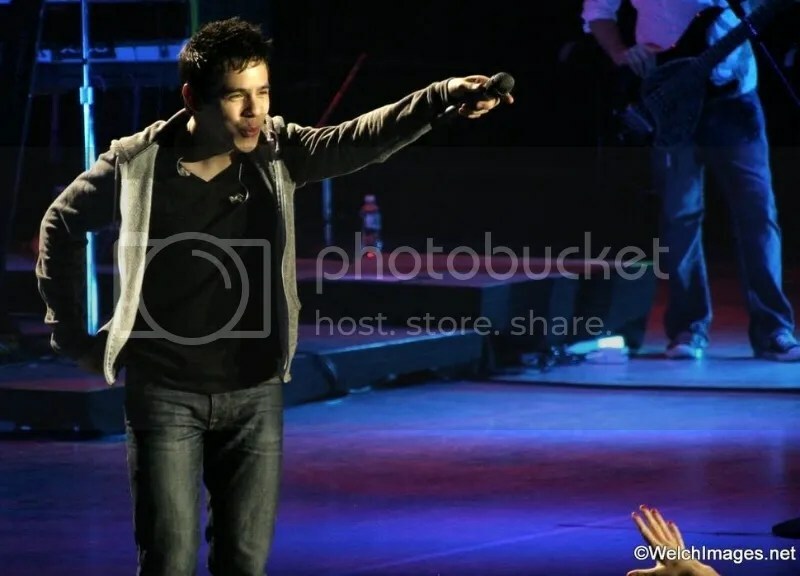 Tagged: #DA2014, #exciting times, David Archuleta, Get ready cause here he comes, The real thing, TOUR. You can follow any responses to this entry through the RSS 2.0 feed. You can leave a response, or trackback from your own site. What I am doing to get ready for David coming home is first to talk to myself on what could happen when more hints, tidbits and torments come our way from tweets from people who may know some of his plans and now are going to torment us with what they might actually know making it a guessing game. For years now you have all been wonderful fans and I truly hope that there are no more disappointing tweets that drop somewhat subtle hints on where he will be next travelling to. Like all other stars, the best most trustworthy announcements will come from his management. Anyone who wants to tease with hints that torment should perhaps quit now. None of you should have to read between the lines or have any more guesswork but simply rely on the professionalism of his management. All of the step by step play makes his life a puzzle that is never figured. I am prepared to be disappointed about his plans because of the hints already circulating that shouldn’t be. People play with people which is irritating and I know there will be comeback excuses for them because that is who you are (here and on other sites), kind and patient. Congratulations to MT and all the writers on your building of the wide bridge that joined the many miles that have been travelled. SB, I understand your pet peeve, but I don’t think there is any way to stop it. There will be rumors of what David will do next and, of course the only true source is David’s OS, his management, and when David comes back, from David himself. Because of the long drought I actually like the speculation, but I love mysteries. I like guessing games. If people want to tweet hints I’m actually okay with it, but I won’t believe anything until it is official. I had hoped that site that had the David touring schedule for 2014 was real, but it probably is not, but then tour dates could go up there eventually. Who knows? We won’t know for sure until his OS posts dates. So far we have the charity bid, and David will be back by April 1. Great article MT, I’m pretty much ready, all I need is him. I’m okay with the “tweases”, I like the buzz and excitement they create, and I think that is a good thing to have people talking and wondering and anticipating what he will do when he gets back. You know that he will be wanting to appease all of his fans, both here and abroad. Am reading COS again – read it when I first became a fan 2yrs ago – now again – delightful to read after watching videos a million times as it reflects how his musical goals have ALREADY been so fulfilled just in the few yrs we’ve had him so far… Also! Am 61 – have never yet rented a car or used a GPS (no smart phone, either). If he does not come to Northern CA, may have to do these things – oh how he makes us grow! The other thing I’m doing is already getting misty eyed as I watch some of his videos – e.g., Contigo… Overwhelmed with gratitude that this masterful singer/songwriter/actor is about to be in our world and on our screens again very quickly now. Thank you Powers that Be for bringing him to us, keeping him safe – now let’s get him back here! BTW – love, love, love the “Number one – Powerless over ODD..” Hahahaha – I get that joke” Here’s a song I sometimes listen to while watching a David slideshow as a prayer for him. I just got an actual paying job so I WILL have money for concert tickets (that was in doubt the last year…). I may need a new computer, to hold all the new photos and screenshots and the MP3 copy of every album (which I always buy despite also buying the CD). And I need to make sure I have a computer that is beefy enough to handle 2-years-improved cell-videocasts 🙂 (I hope there are lots of those). On behalf of all the great admins and writers here, Thanks so much! So good to see you commenting! I know what you mean about “firsts.” I’ll probably be flying alone to a concert this year. I’ve never done anything like that before. And I got a GPS too! haha Now if I can figure it out I’ll be in good shape. 🙂 Thanks for the video. Beautiful song! My list is coming along pretty well, too. The piggy bank is looking good for Airline ticket (I must plan for that since he never comes near me) and VIP ticket. 🙂 Car is going into the shop next week for a tune up. I’m listening to ALL of his CDs these days to remember the lyrics. (I promise not to sing too loudly. lol) I am exercising so I’m all set for that jumping and the diet is in progress! Oh, and I got a new PC a year ago so I’m all set there. 😀 Looking good for me to be able to go to a concert!! Woo Hoo!! I was typing out a comment here earlier but didn’t like it so erased and here I am again!!! They don’t call it March Madness for nothing LOL I didn’t really have a list since I have everything I need, plus been busy and stuff so really couldn’t make a list. I admit I started to get a little nervous starting yesterday after getting all my transfer stuff for college in and realizing how many days are left until spiky hair fella gets back here LOL sorry that’s a nickname I give him don’t know why. But fortunately I got a small campus job that starts this week and gets me 200 bucks 😀 woo hoo!!! Will finally be able to see David…and I think I’m ready too. Thank you Reflection Days, aka Sunday haha. Actually, if I stop and think about David’s homecoming, I get nervous. As a fan I want to hear and see him yesterday. As a human being, and a mother, I want him to take the time he needs to re-acclimate to the world outside of missionary work, which has been a 24/7 lifestyle for him for the past 2 years. He’s going to need it, and I accept it. Congrats on the job! And you know what? You mentioned something I hadn’t even thought of that I need to work on to get ready. I’ve never been to see David sing live. I’ve heard so much about his voice “Live” as opposed to on video, heard so much about what it’s like to meet him, that I really don’t know what to expect. Will I be so excited I’ll be hyperventilating? Will I be a screamer? A fainter? Will I hear someone shouting and realize it’s me? Or will I be calm, cool, and collected like I usually am. I have no idea!! After reading your comment I thought “Wow, I think I need to prepare mentally, too” but is that even possible??? Is it possible to prepare for the unknown that you’ve been waiting 6 years to experience? haha We shall see! # one on the list pretty much sums it up for me. “Admit that I am powerless over ODD”! I can be involved in other things in my life from day to day and, invariably when I hear his voice again, there is that ODD again! It just won’t let me go! 🙂 OMGosh! I just love it! Like some of you, I don’t have to do anything to get ready for him…….Just get here already David!!! haha Maybe it’s because I’m older and busy all the time, that time just flies by for me. With my job closing down, I will go to his concert if I have to pay it off in payments! lol If for any reason I wouldn’t ever get to go to another concert of David’s, I am so blessed that I have been to 4 VIP’s and flown 3 times and went on two road trips to see David. That is something that I had never done before, either! David has something that makes me try things and I have never worried that something bad would happen because the fans I met were David’s fans and I knew they were good people. And they always were! He has the best fans! The trips to his concerts are something that I wouldn’t trade for the world, they were so much fun. And I hope that my blessings will continue and I will be able to continue to go to his concerts where ever they may be! Again, I want to thank all the moderators that work so hard to keep this site going. All of you have made it a much smoother trip through the 2 year drought we faced. THREE MORE WEEKS!!!!!!!!!!!!!!!!!!!!!!!!!!!!!!!!!!!!!!!!!! BELIEVE IT EVERYONE!!!!!!!!!!!!!!!!!!!!!!!!!!!!!! Great article MT, I love your list! hahaha! That time warp we have been in ,of “six more weeks” has started to move! We are counting down the DAYS now.eeeek! I wasn’t prepared when he left,and I know I won’t be prepared when he comes home. The Sleeping Giant that is David’s fanbase will soon celebrate him home, with love,tears,excitement and pure joy!!! I keep picturing in my head ,David,getting off of that flight that brings him home from Chile. .Seeing and embracing his big family for the first time in 2 long years,,holding his new niece in his arms!♥.The anticipation and excitement and joy of seeing them once again, must be setting in for David, big time now, as the time draws so near. LOL I am really trying to get a grip on my ODD right now but I think I’m losing it. After 6 years, it feels so so close now!! Ha Tissue!! That’s another one I hadn’t thought of. Oh man, will I ever be ready??? I guess not many of you feel the need to “prepare” for David. Maybe it’s because you have already seen him and know what’s coming. Maybe it’s because I’ve been waiting soooooo long to see him live. Maybe I’m just a nut. LOL I don’t know. It just feels like I need to DO something. Is it just me?? Really? It’s like that last day before childbirth when you just can’t hold still because you feel like you are not prepared and the time is approaching! hahahha Well, ok, not quite, but I hope you get what I mean. Another bravo, MT! Well done! While I don’t have any concrete plans set in place, I’m ready for David to come back home. Been ready for long time. Just waiting for him to be sent back to us. I’m looking forward to new music, appearances, endorsements, acting roles, touring, concerts and whatever else he’s got up his sleeve. Because whatever he chooses to give us is always good! Don’t feel sorry! I’d love to be with you the first time you hear The Voice live in person! I am sitting on that fence. I’ll hop down off the fence when I hear from David what his plans are going forward. I agree with you 100%. I dislike all the teasing from David’s “people”. Today’s tweet from Kari shows it might still be going on. I hope the “team” remembers where all the rumors start. It’s not with fans. If you have something to tell us Kari, just say it. Otherwise …..
MT, I love this! The planning is all so much a part of the David experience. 1. The ODD part is a given. Six years at this and only getting stronger! 2. I’ve made sure my account for online ticket purchasing is all set and ready to go at a moments notice. 3. All David’s CD’s are in car in order released to listen to any time in car for easing my butterflies or driving them crazy!!! 4. Repeating, “I will fly to David’s concert” and visualizing in preparation for first flight ever. 5. Stopping to breathe in a bag because I just saw this on twitter!!!! I’m as prepared as I’ll ever be–as I ever WAS. Never was. We will be bat-guano crazy for sure. lol. Even though most of us have seen him in concert before, I don’t think we will be any more prepared than you. All the rest I’m pretty much gonna be spontaneously inept about which is half the fun. What I really must do is get my game plan for scoring VIP tix because I have a feeling they will go like in minutes of going on sale. Hope a packet of Kleenex is included in the VIP bag, cause I think we’re all gonna need it. OK, after posting my last comment, I left to bake some cornbread. Put the bottle of vegetable oil in the refrigerator and threw the half-full bag of cornmeal in the trash. This is not a good start, y’all. LOLOL! Why do I feel like “hurry up and wait”? Abrra… I did sit down when I read that we agree on something and it is something important. We have guessed a lot of things for a very long time. The game is over, it is time to be real. I hope you’re there with me!! hahaha I’m counting on you being there!! Hope I get to meet lots of you. 🙂 Excited about it! I have a lot of plans in the next few months. There will be two weddings, eye cataract surgery, birthday parties, and a vacation trip that is already paid for. 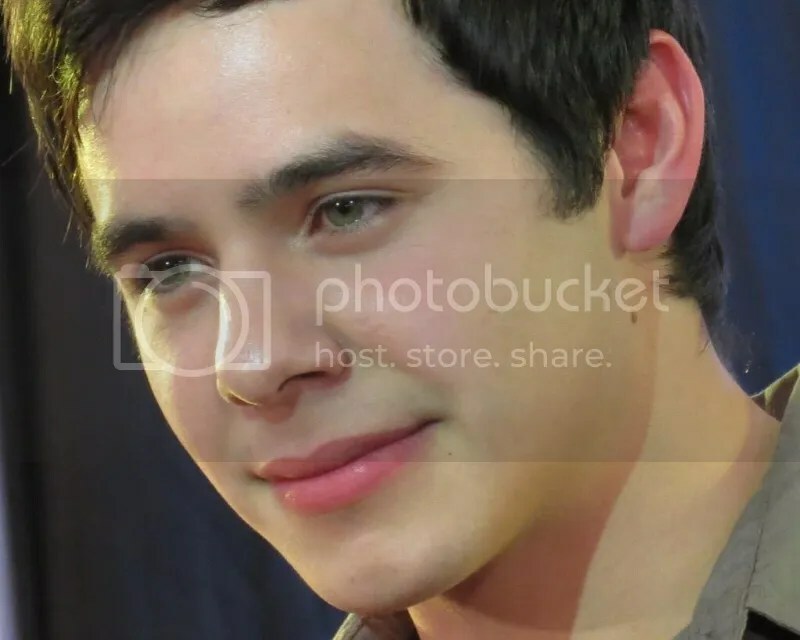 So, instead of being completely happy about those things that I am looking forward to, I am thinking in the back of my mind, “I hope that these events don’t interfere with me going to David’s concert. Preferably his first concert. If that isn’t ODD then I don’t know what is. I’d say you have your priorities in order! 1. Check my frequent flyer miles and see how far I could go – or how many trips I could make. 2. Check in with Abrra as soon as we see any concert info in case she wants me to drive instead and pick her up. 3. Give a shout out for any other people who want a ride because they won’t fly Haha. 4. Be sure all my traveling electronics are in order so I can record, upload, copy, play and post from wherever I am. I will be open and honest. I actually always am but maybe not that wide open. David’s home country is the US and always has been and I respect that. He has his family, friends and home country fans. Every artist does. I respect that too. I just don’t care for the tweets that suggest he is going to appear in some far away airport to probably do something that is planned there just to tease whether it is true or whatever. I am not an American but I know “where his heart is” and I wouldn’t tease you and have fun reading the tweets that get you going ‘especially’ now. Yes everyone is a fan but I know where his home is and that is ultra important to every performer. He will make his career whatever he wants in the US. His talents match the country and his Spanish is ready. I know that travel and performing are inevitable. Re: flying. Remember what David said, You can do anything if you just believe. 🙂 You can do it!! I am baffled as to why it came back. I sent it from my email account and I got a confirmation for those I sent. None were sent back so far. I’ll check when I get home and see if yours was confirmed or not. The deadline has passed for submission. You have email Ray . For your enjoyment, while we wait. I need some company on the ledge today. Yep … ♫ It’s getting closer now, closer now ♫ I can feel it! I think the whole fandom is in a holding pattern right now, just waiting for a landing. … 😯 On Standby! I could post some pictures if that helps. I think he’ll probably look the most like the top two pics when he gets back. He looks older there and more tanned. Oh, and LOVE the hair! Abrra you always know what we need. We never have too many David pics. You gotta love it when a picture from the past surfaces. I have never seen this one. Another find from Providence 2009, I was there! 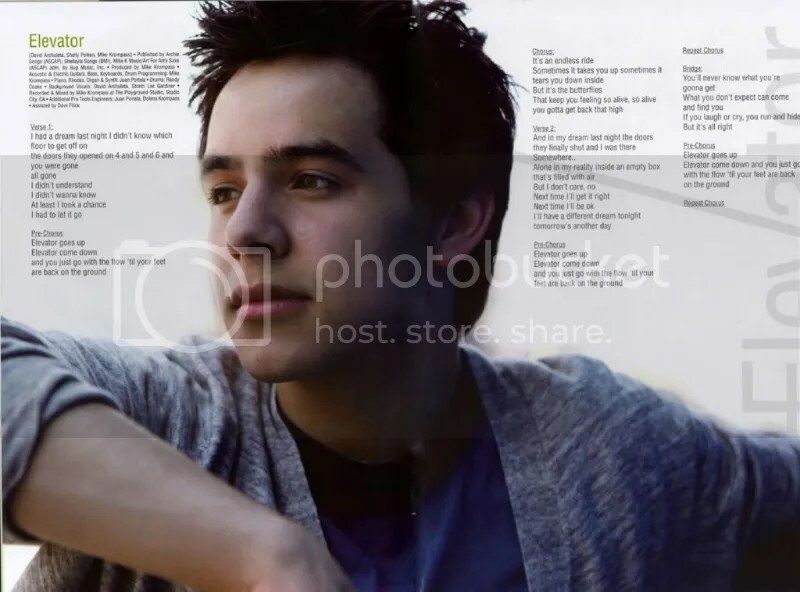 Click the link for more http://davidarchuleta.blog.so-net.ne.jp/2009-11-01 Click the images to make them larger. This one’s for you! He sang YEDL that night. It’s from Jakarta, Indonesia concert July 2011. Random find on twitter. Have I seen this chair pose before? 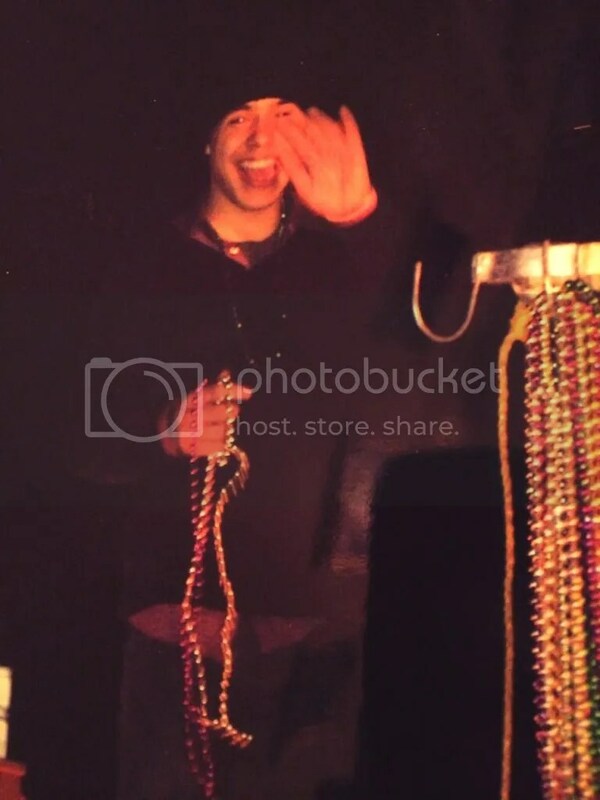 And I thought Matt Clayton did all the BEGIN photos. 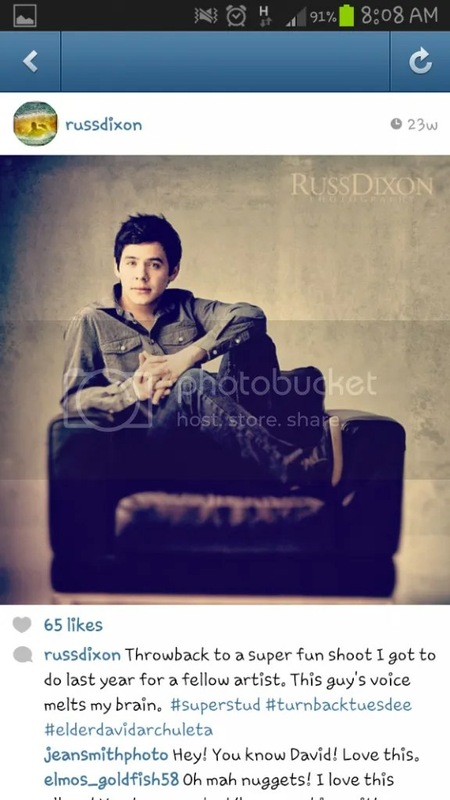 Note: I checked on @russdixon His is from Sandy, Utah and his photography web site is no longer available. He seems to be a band musician as well. abrra, that #48 is a great find. Love it. 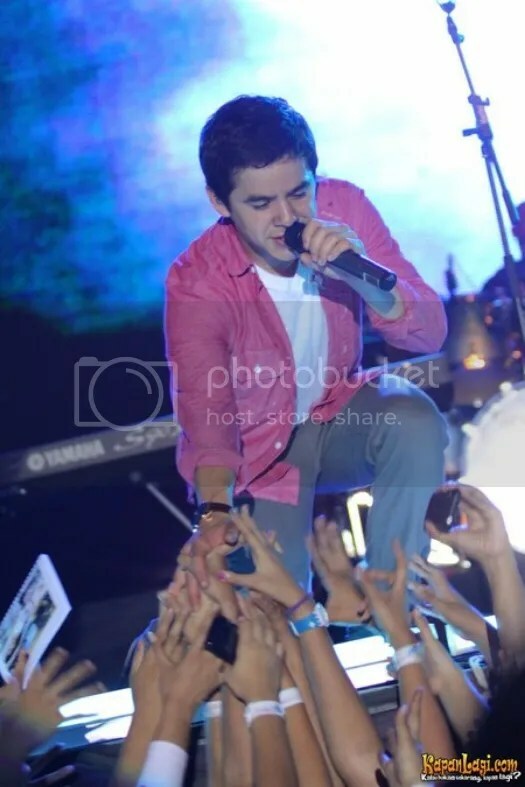 Gayle, that is one of my most favorite pictures of David sharing his hand with the multitudes. Why is it that one of the first things I think of in the morning is checking here and on twitter to see if David came home? LOL ODD much? Love your “to do” list, MT. There is only one thing on my list. I am sending messages telepathically to David telling him to have a Christmas tour. I think I have the best chance of coming to the US of A for tour if it’s around November/December. 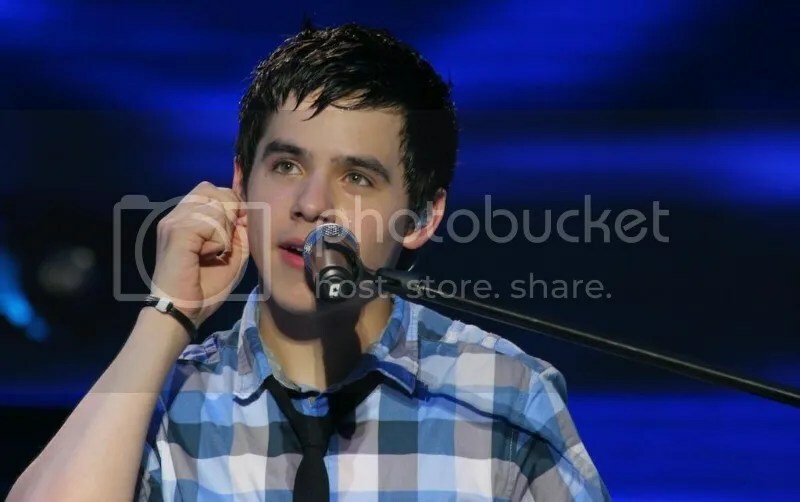 So please, please Mr Archuleta, Christmas tour! zap zap – message sent. Fen, I can’t imagine that David would leave us with nothing for Christmas. Even on his mission he was performing for the holidays. The hand-sharing pic at #47 came up just as I was answering the phone at work. That caller is probably still wondering what happened. Remember when we used to get warnings? Thanks to Gayle for requesting and Abrra for delivering. And I loved seeing the lineup of water bottles at his feet in the pic at #44. That entire pic is just so David being comfortable on stage. The mike, fiddling with the earpiece, the jeans, the smile. Sigh. Hmmm…. very interesting! Strange to be adding twitter follows when he’s in Chile. And why those people? Makes you think about all the possibilities, doesn’t it? I’m actually hoping he’s home and able to stay incognito until the 24th or 25th, when we’d expect him home. That way he’d have a few weeks to adjust before sending out the first … Hey Guys, It’s David here. I’m home! 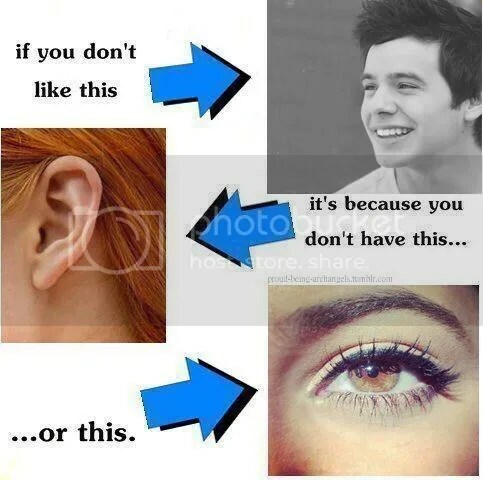 excuse me , you think who you are @kariontour follow 7 persons to @DavidArchie account without his permission. Thats not allowed !! @aiDendiar excuse you! I was NOT the one to follow those people but I am sure I would have the permission if I wanted to! Bebe, yes,all’s quiet on the western front. :) I feel like I am waiting in baggage claim for my luggage to show up on the carousel. and yes! you do need to tweet that. Just here waiting. Looking for any sign, any sound. Anything. Waiting, anticipating. LOL. I’ve had Carly Simon’s song in my head all day. Looks like a good day to check out the side bar pics. A little stroll down memory lane. Trying to pick out top ten favorites. Impossible. So busy today!!!! This wait is beyond crazy!!!! SERIOUSLY?! OMG!!! RT @chanelmuhfinn Oh my gosh! 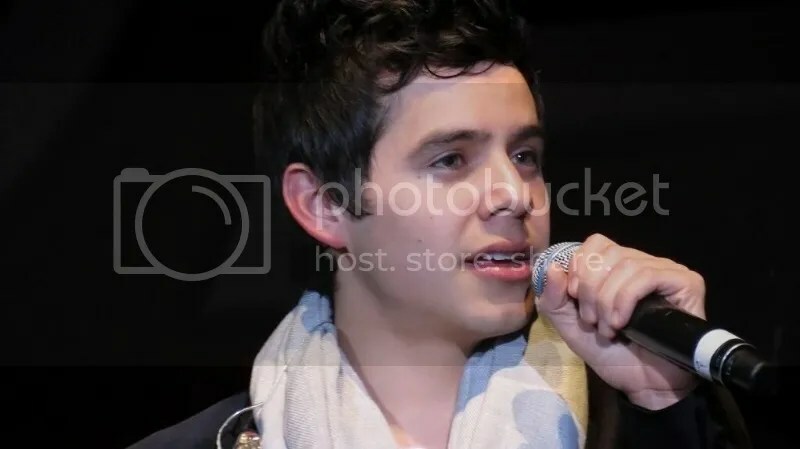 They’re saying that David Archuleta is already back here in America!! Wahhh! Partyyyyyyy!!!! 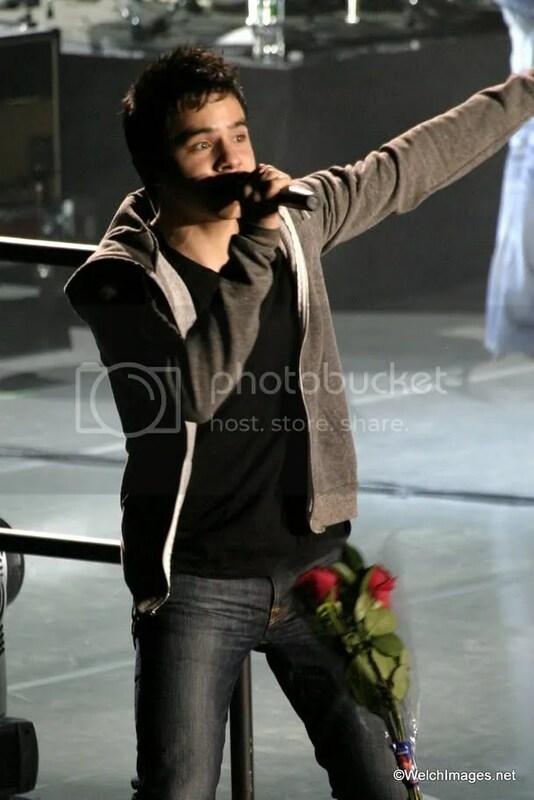 Its Friday and DAVID ARCHULETA WILL BE HOME SOON!! So quiet. Still in that holding pattern. How about a smile for this lovely Friday? MT, can’t avoid smiling even if I tried. 😊. Sometimes it’s such a strangely natural reaction to David. I remember when watching him at the Alma awards as he was singing Contigo en la Distancia, it was couple minutes before I realized I had the biggest smile on my face. Ha ha. And the wedding tweet-lol. Well, David is now 23. Isn’t it possible he may have met “the one” by now? I hear a lot of Mormon couples meet during missions. Just random thoughts 😊 while we wait, jumping at each sound our phone makes, like Djafan. LOL. Enjoy today’s puzzle of David in the UK 2009. I missed chat last night. 😦 But company is gone and now I get a little time for myself. Thanks for the puzzle! Those are always fun. 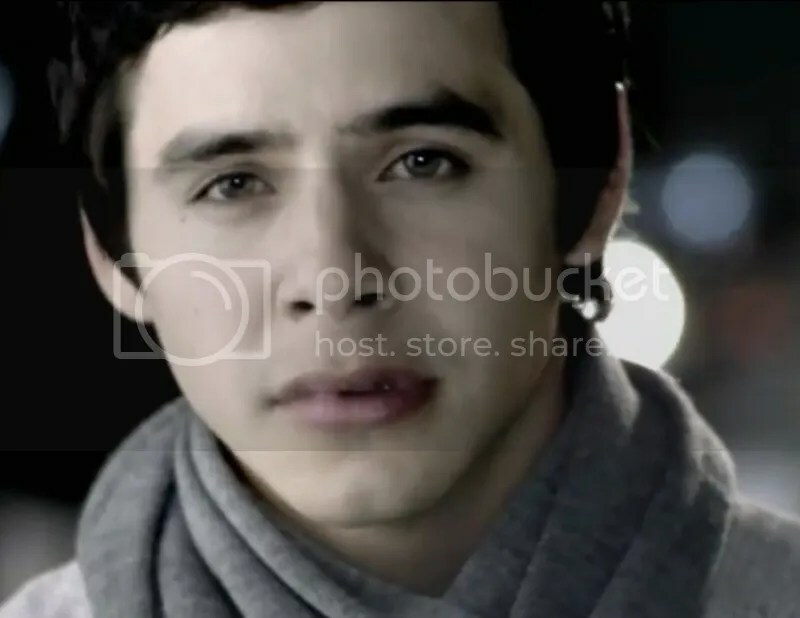 I just love David singing Oh Ven Oh Ven Emmanuel. That is one of my all time favorites from David. This is the one I usually watch because there is nothing like the combination of both the visual and audio of him putting heart and soul into this song. His voice at 1:48 … Gahhhh! So beautiful! Truthfully, the whole thing is stunning. I sometimes think it would be better for his career if he stuck to one genre so he could develop a larger following in that style of music. But I can’t imagine how he could choose just one. Each thing he sings I think, now that’s what he should be singing. But, then he goes and does something like this and I think, now THAT is what he should be singing, big songs that showcase that amazing voice of his, And then I go back and listen to Heart Falls Out and I think THAT is what he needs to do. It just goes on and on. *sigh* I don’t even know what I want as a fan. I can’t imagine how difficult it would be for David to try to contain himself to one genre when he has the talent to do it all and do it so well. That much talent could be both a gift and a curse. You were missed last night in Unplugged. It’s interesting that you posted the Oh Ven today. Why, you ask? Because I had made a mash up of that video with a better sound track and I asked the room if I should remove it because there is the rehearsal video. I try to streamline things to make the best use of the space available. The conciseness was to keep it because you liked it. I agree and today you have proved it! Glad you enjoyed the puzzle. The other two I love from Chile are Mi Burrito and the Spanish What Child Is This. I can’t post those here but I’m so glad you have them all in unplugged! I can’t wait till he gets back and sings more for us. MT, I agree with you and thinking David probably couldn’t stick to one kind of music because he sings them all so good! #DA2014…..EEK….18 days, 9 hrs.,10 min, and 45 sec!!!!!!!!!! Love watching the clock tick down! Waiting until David is officially home because there’s no place else I’d rather be than right here waiting with everyone.